The Faith and Freedom Coalition, a conservative evangelical group, has increased its budget to about $20 million to ensure Republican voters come in droves to protect the present GOP majority . The strategy was spelled out by Ralph Reed, the organization's chairman when he admitted they would make a harder effort in 2018 compared to 2016. He said the budget might increase further if needed. When it comes to evangelicals, Trump is in safe territory. 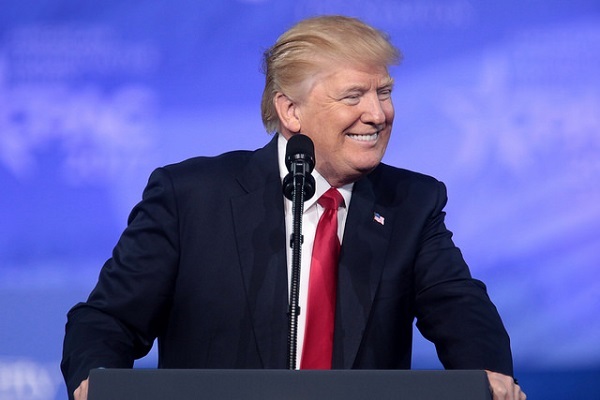 A poll done in April exhibited overwhelming support for the president within the white evangelical crowd. 75 percent of the evangelical voting population strongly support the president. Only 22 percent holds unfavorable views of the president. It is to be kept in mind that these voters pushed Donald Trump to the presidency in 2016. The real estate billionaire enjoyed the stunning 81-16 margin among the evangelicals. The Faith and Freedom Coalition is going all out to secure yet another GOP majority. Most of the money will be spent on digital outreach to contact 180 million voters. Volunteers will visit door to door. They will also make phone calls and send emails. Texts messages and physical mail will be part of the campaign as well. The present budget could change with the expansion of the campaign. Reed referred to these efforts as “Road to Majority.” He spoke to the media from the group's base in Washington D.C.
For evangelicals, Trump is a vital ally in their efforts to mold the U.S. Constitution in their religious tinged image. They want the Republican government to pass legislation which will protect religious freedom. Evangelicals also wish to reshape federal judiciary. Supporters of Trump view him as a success through the prism of multiple conservative priorities. The president has put Justice Neil Gorsuch on Supreme Court. He also moved the United States embassy from Tel Aviv to Jerusalem. It also helped that Trump is actively working to repeal many restrictions on religious groups' political activities. Trump, according to Reed, runs an American administration much friendlier compared to the Bush administration and when Newt Gingrich was the speaker. President Trump enjoyed robust support from evangelicals despite multiple concerns about his personal life. Trump's popularity, however, has much reduced from that time. History also favors a Democratic win.